You’ve had the opportunity to learn about the stitches your machine can do and experiment with stitch length and width. Now, let’s talk about 8 sewing basics you need to know as you begin your sewing adventures. 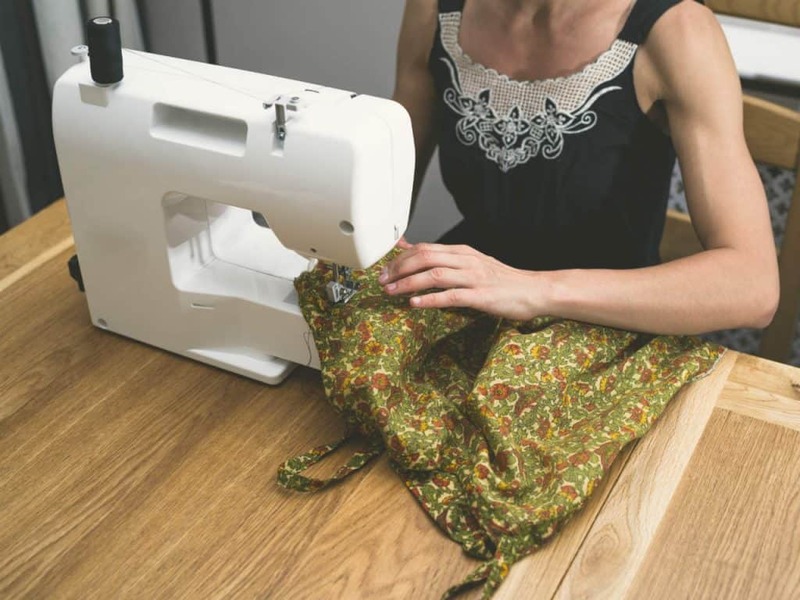 Having the correct posture when you sew allows you to work comfortably and reduces the possibility of experiencing backaches. Make sure you have a chair that supports you. Place the chair in a position so you sit directly in front of the needle on your sewing machine and can sit forward. Don’t rest against the chair back. Your arms should be bent at the elbows and your hands should reach the needle plate. Your feet should be flat on the floor. The foot you use to push the pedal should be slightly in front of the other foot. You should easily be able to reach the pedal. There are lines on the needle plate marked with measurements. 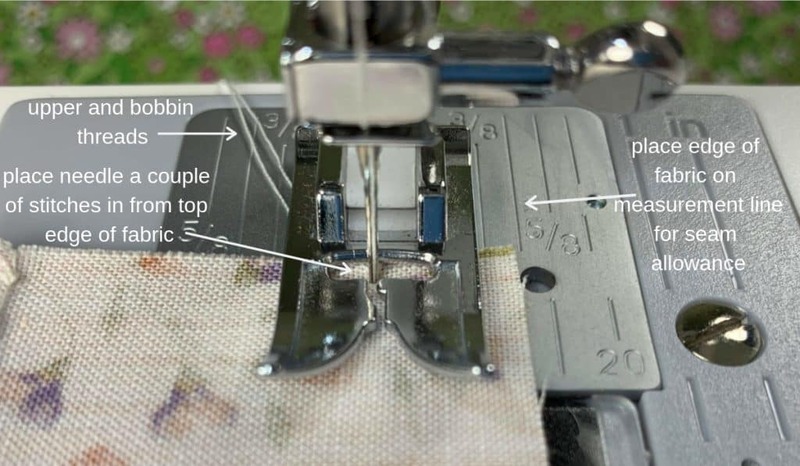 These are stitching guidelines and help you keep the stitching parallel to the fabric’s edge by providing a reference for guiding fabric straight when you sew. The presser foot has been removed so you can clearly see the marked measurements or stitching guidelines. It’s assumed you have the needle in the center position when you’re using the measurements on the needle plate. The seam allowance is the distance between the edge of the fabric and the seam or stitched line that holds two pieces of fabric together. The most popular seam allowances are 1/2″ and 5/8″. Unless you are piecing blocks for quilting…then you use a 1/4″ seam allowance. 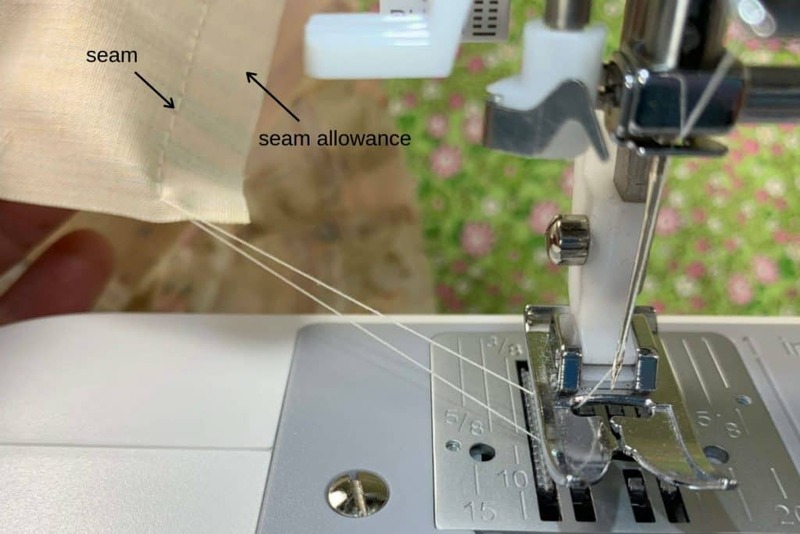 These 3 popular seam allowances are more than likely marked on the needle plate along with other measurements you may want to use. As you position your fabric under the needle, the bulk of your material is usually on the left side of the presser foot. That way your seam will be on the right and you can line up the edge of the fabric with the measurement marks or stitching guidelines on the needle plate. The result will be an accurate seam allowance. Place your right hand about 2-4 inches in front of the needle. Use this hand to guide the right edge of the fabric and keep it on the stitching guideline you need for your project. Place your left hand lightly on top of the fabric on the left side of the presser foot. You’ll use the fingers on this hand to control the fabric as it moves through the machine. Your arms and elbows should be lifted slightly and not resting on the table. Sewing fast is never the goal. The goal is accuracy. The foot control allows you to control the speed of the sewing machine so you can sew accurately. When the presser foot is down and you push on the foot control, the machine will sew. When you lift your foot up on the foot control, the machine will slow down or stop. Some foot controls allow you to set the speed at half or full. Another option some machines may have is a way to set the speed control on the machine. 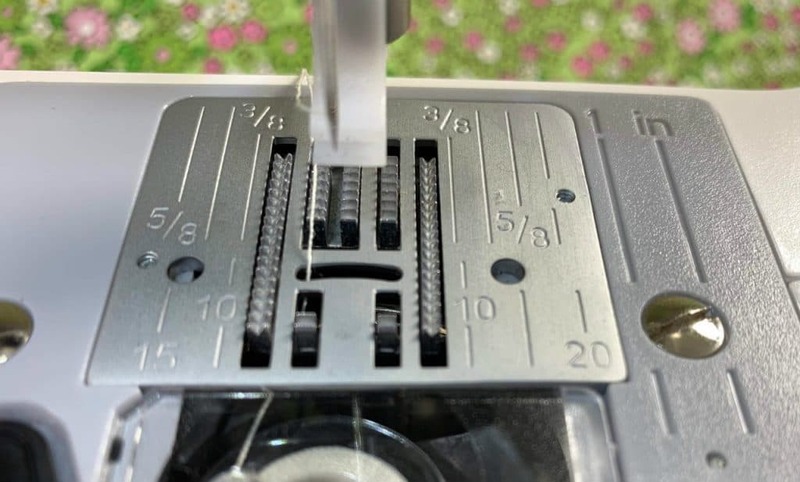 Refer to the manual for your sewing machine to see whether or not you have the option to set the speed to half or full either with the foot control or something else on the machine. A seam is the stitched line that joins two pieces of fabric. To start a seam lift the presser foot and make sure the needle is in its highest position by turning the flywheel toward you. Lightly grab the upper and bobbin threads and pull them back and to the left of the presser foot so you have about a 4-5 inch tail. Lower the presser foot and hold the thread ends so they don’t get pulled under the fabric when you start to sew. Lightly step on the foot control and take a few stitches before letting go of the thread. Sometimes you will need to backstitch. Refer to the next section on backstitching for details on how to do this. Sew at a steady pace. Remember, accuracy is the goal, not speed. When you get to the end of the seam, raise the needle to its highest position and lift the presser foot. Pull gently on the fabric to the back and left. Leave a 4-5 inch tail and clip the threads close to the fabric. Backstitching is used to reinforce the beginning and/or end of a seam. Refer to your machine’s instruction manual to locate the reverse sewing lever. It may also be called the quick reverse lever or something similar. 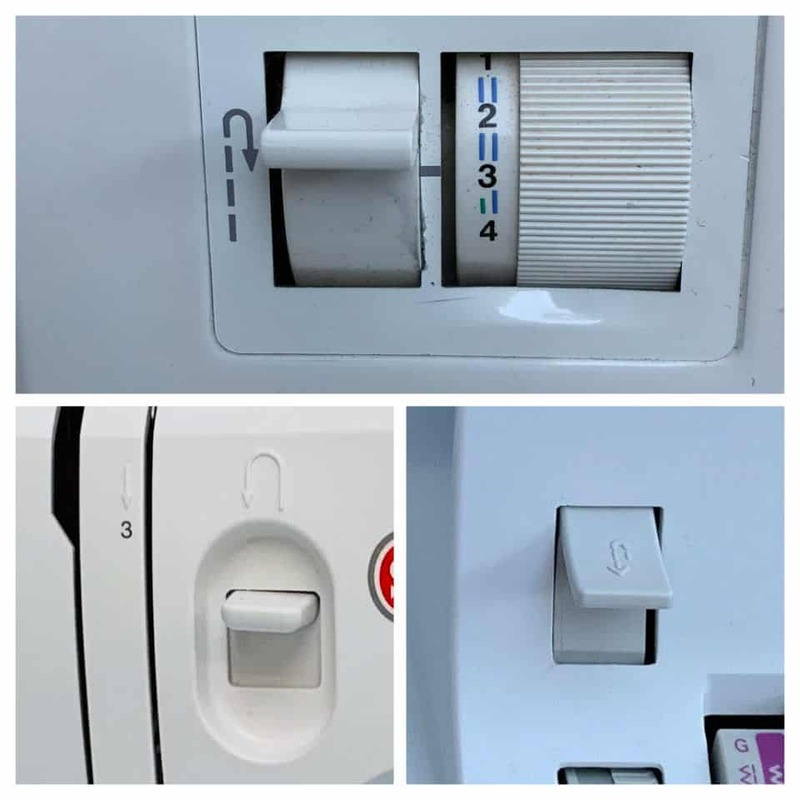 On the sewing machines I use, they all have the same U-turn symbol to mark the reverse levers. After taking a couple of stitches at the beginning of a seam, lift your foot off the control to stop sewing. Push the reverse lever down, hold it, and step on the foot control to go back a couple of stitches. Then release the lever and stitch forward to almost the end of the seam. When you get to within a couple of stitch lengths from the end of the seam, lift your foot off the control to stop sewing. Push the reverse lever and hold it down. Step on the foot control and go back a couple of stitches. Release the lever and stitch forward to the end of the seam. 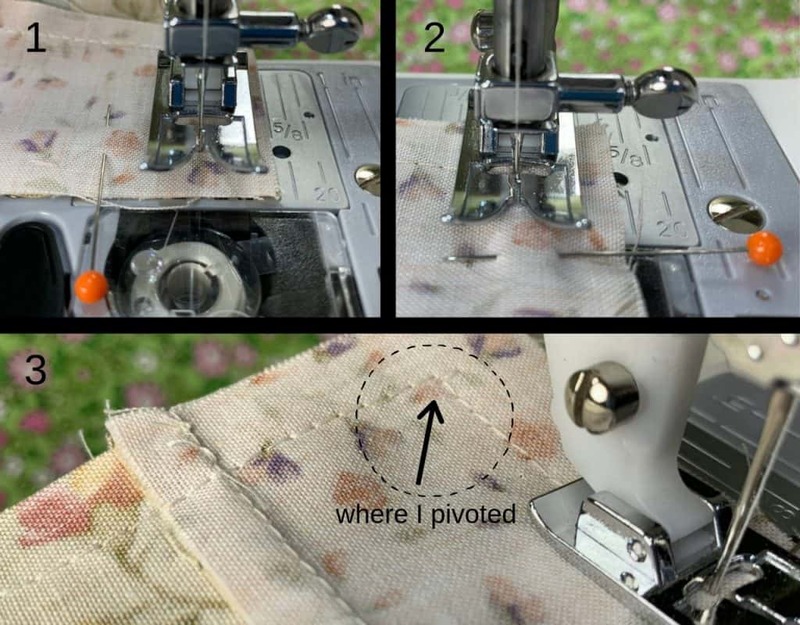 When you’re sewing around corners or need to change the direction of a seam, you’ll need to pivot the fabric around the needle. Before you pivot, the needle must be in the fabric. With the needle in the fabric, lift the presser foot and turn the fabric, pivoting it on the needle. Lower the presser foot and begin sewing again. 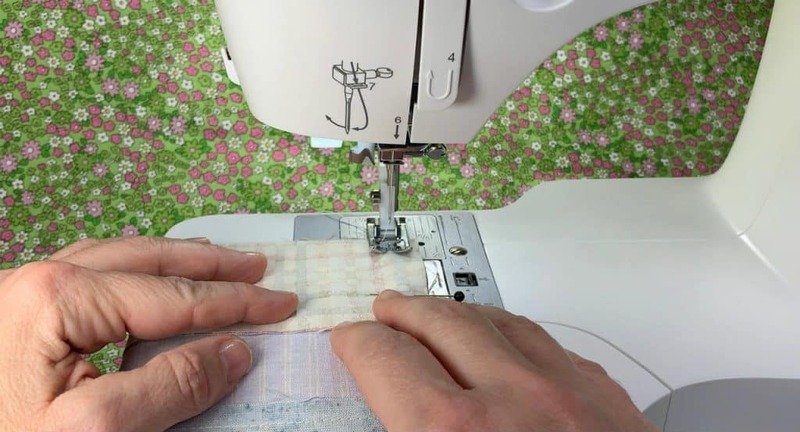 You’ll use the knowledge and skills described in this post every time you sew. These are the sewing basics beginners need to know. It won’t take too long until they all become second nature and you won’t even think about what you’re doing when you sit down in front of your sewing machine. Instead, your mind will be able to focus on making and creating things for yourself, your home, and others. Only two more posts in the Get Ready to Sew! series. Next, you’ll learn what to do at home to keep your sewing machine clean and maintained so it stays in good working condition. 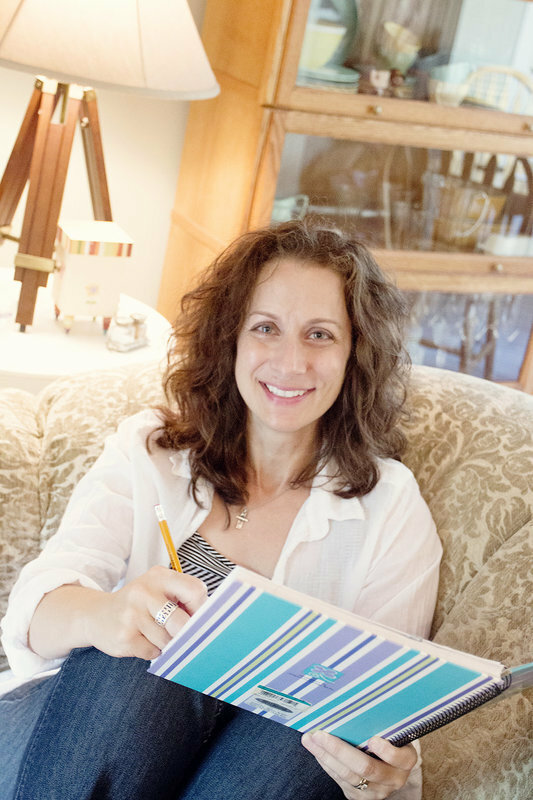 After that, you’ll finish the series by learning about the 4 zones you want to have in your sewing space.